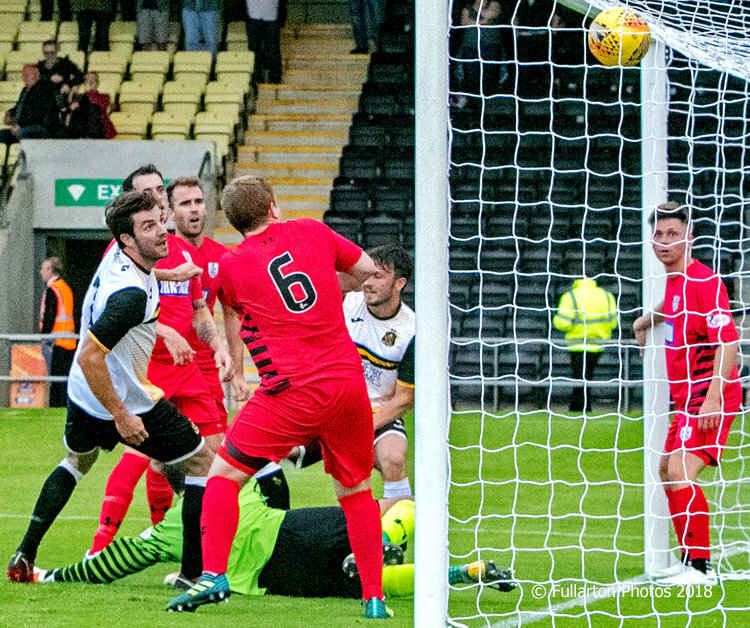 DUMBARTON got off to a winning start in their first competitive home game of the 2018-19 season. DUMBARTON got off to a winning start in their first competitive home game of the season, taking all three points from Queen's Park with a 1-0 victory in the Betfred Cup at the C&G Systems Stadium. It was a bright start for Sons, fielding only Andy Dowie, Craig Barr, Stuart Carswell and Calum Gallagher of last season's squad, and they had a number of chances and half chances in the opening period. The breakthrough finally came on 34 minutes, Barr nodded a corner down and Gallagher turned the ball in for 1-0 (pictured). That was how the score remained up to the break. In the second half there was an immediate chance for Dumbarton, but Michael Paton fired wide from the edge of the box. At the other end, home keeper Grant Adam kept the visitors at bay, making a couple of good stops. Sons stayed well in control of the game, but Queen's Park pressed whenever they had the chance, particularly towards the end of the match. The home side confidently played out the tie to claim five points from their first two matches in Group H of the League Cup.